For more than a week, Hollywood Presbyterian Medical Center has been in a state of emergency after a malware attack shut down the network unless a ransom of $3.6 million was paid.The attack has compromised the hospital’s ability to care for patients as medical professionals have been unable to access patient records such as lab reports, X-rays and MRI results. Ransomware is a specific type of malware that holds a network or single machine hostage until a ransom is paid. Once hackers get their cash, functionality is returned to the machine or network. Currently, the hospital is in crisis mode as medical professionals and administrators struggle to communicate and send information via telephone and fax. 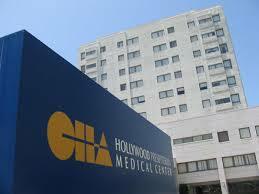 Hollywood Presbyterian has had to turn patients away or transfer existing patients to other medical facilities. What’s not known is if patient or employee records were compromised in the attack, and request for comment from Hollywood Presbyterian was not immediately answered. Ransomware isn’t uncommon, but the ask in this particular exploit is quite high. Typically this type of malware attacks personal computers due to ease of access, and asks for a few hundred dollars.